Step 1: Form the cake pops. 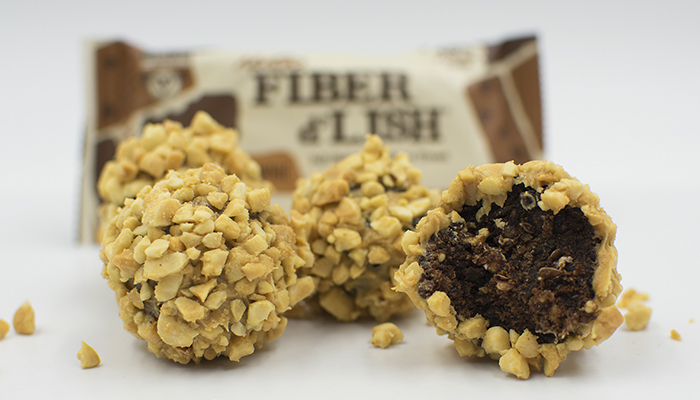 Make medium sized balls out of the Fiber d’Lish bars. Step 2: Roll the balls in a bowl of peanut butter and then immediately roll into a bowl of chopped peanuts.